Businesses and individuals across the nation turn to Mike when they face class actions and other types of high-stakes litigation. Over the past 30 years, Mike has litigated a wide range of legal issues, particularly claims brought by consumers under state and federal statutes. Mortgage lenders, mortgage servicers, banks and finance companies rely on Mike to defend them in complex commercial litigation arising under the Telephone Consumer Protection Act (TCPA), Truth in Lending Act (TILA), Consumer Leasing Act (CLA), Real Estate Settlement Procedures Act (RESPA), Fair Housing Act (FHA), Equal Credit Opportunity Act (ECOA), Fair Credit Reporting Act (FCRA) and Fair Debt Collection Practices Act (FDCPA). Mike assists product manufacturers in the sporting goods, food and beverage industries in defending cases alleging product defect and deceptive advertising brought under state consumer protection statutes. In these and other types of cases, Mike is recognized for his experience and results in defending class action lawsuits. Mike also has extensive experience in environmental law, representing clients in litigation and non-litigation matters. He regularly litigates construction and employment claims for higher education and business clients. Industrial and real estate clients seek Mike’s counsel when faced with government enforcement proceedings. Obtained dismissal of nationwide class action suit alleging false advertising against manufacturer of premium whiskey. Defended several sporting goods companies in class actions alleging product defect, deceptive advertising and misrepresentation of product features. Acted as national litigation counsel to major mortgage lender for individual and class action suits alleging violations of federal and state consumer protection statutes. Defended class action suits against individuals and businesses brought under Telephone Consumer Protection Act (TCPA) related to sending of "junk fax" and "junk text" advertisements. Defended national food manufacturer in state and federal class litigation concerning product labeling and internet, print and signage advertising. Represented professionals, including physicians, dentists, lawyers and accountants, in partnership and shareholder disputes and litigation. Represented businesses/policyholders in insurance coverage tenders, disputes and litigation, achieving multimillion-dollar financial recoveries and insurer agreements to defend clients in thousands of existing and future asbestos and other lawsuits. Successfully represented clients in defense of individual and class action employment suits alleging harassment, wrongful discharge and violation of federal and state wage and hour laws. Mike loves to play golf. He is an obsessively mediocre golfer who gets out on the course as often as his schedule permits. Mike has enjoyed vacations with family and friends at golfing destinations in Scotland, Alabama, Arizona, California, Florida, Michigan, Oregon and Wisconsin. A 2018 trip to the Bandon Dunes resort in Oregon was a highlight. He has left the clubs behind for vacations to Italy, Ireland and France with his wife of 30 years. Though their children are grown, the entire family continues to make an annual trek to a summer retreat in northern Michigan. 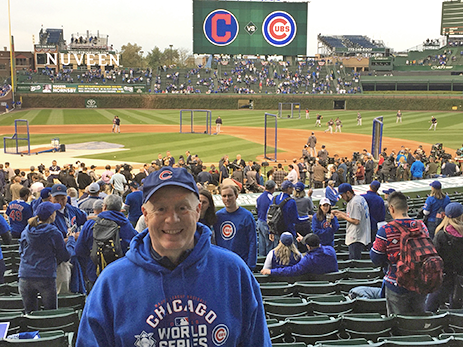 A Chicago sports fan, Mike is a die-hard Cubs fan, still in shock and euphoric disbelief that the Cubs finally won the World Series in 2016. 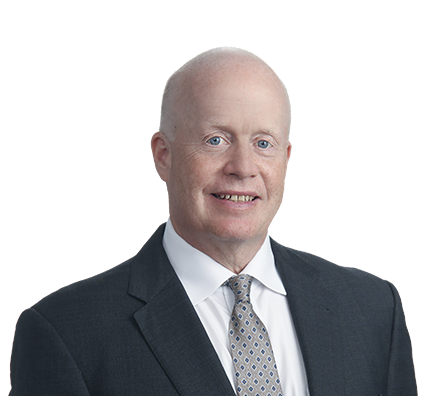 Mike represents class action defendants in a variety of industries, including food and beverage, mortgage lending, consumer lending, sporting goods and insurance. Clients rely on Mike’s advice on strategy and his mastery of the procedural issues involved in defeating class certification – the game within the game in class action litigation. He has chaired the Chicago Bar Association’s Class Litigation Committee, has been named an Illinois Super Lawyer in class actions and is a frequent speaker on all facets of class actions.